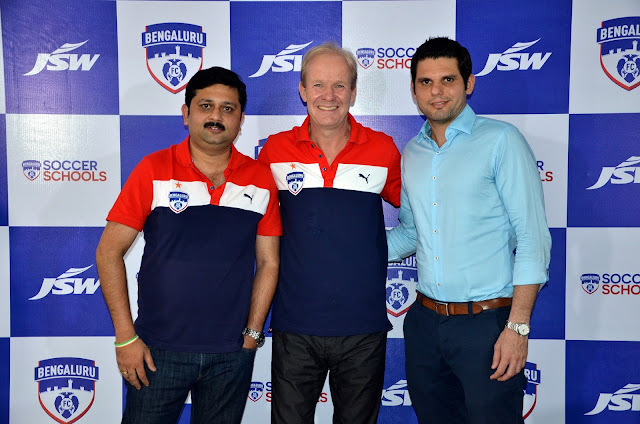 JSW Bengaluru FC,on Wednesday, revealed its plans of a full-fledged residential academy at the JSW Township in Vijayanagar, Bellary, at a press conference addressed by club COO Mustafa Ghouse, CTO Mandar Tamhane and new Head of Youth Development John Kila at the club offices at the Bangalore Football Stadium. The Bengaluru leg of trials will be held from July 23 to July 30 at the Bangalore Football Stadium and the dates of trials at the other venues will be announced shortly. The fully-funded youth development program, which will be overseen by Kila, will provide for the players’ accommodation, education and nutrition. “Youth Development has always been a part of the club’s philosophy and a residential academy is something we’ve wanted to put in place for quite a while now. John (Kila) comes with a rich experience of having implemented youth programs at various clubs and we are sure that under his guidance, our youngsters will progress through the ranks and make it to he club’s first team and in time, the Indian National Football Team as well,” said Ghouse.